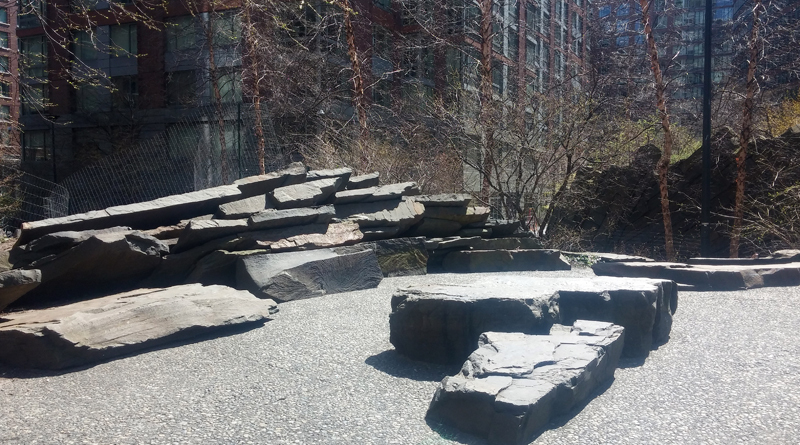 The day after seeing Four Freedoms Park, I walked along the Hudson River from Battery Park up to the High Line. 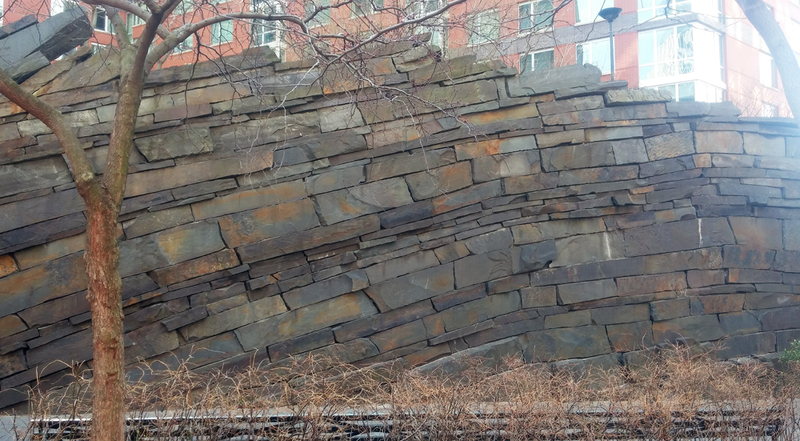 There are a number of interesting bits of stonework along that stretch of Manhattan including the fort walls at Castle Clinton, the anachronistic Irish Hunger Memorial, and the carefully detailed 911 memorial. 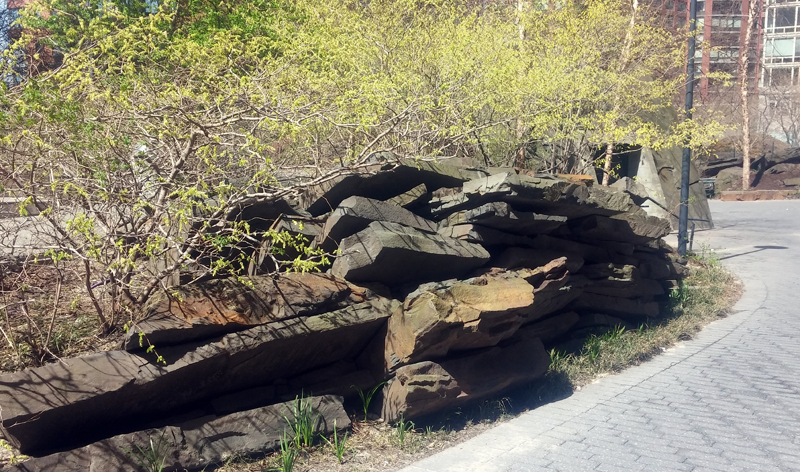 I also walked the High Line but its famous plantings were cut back and leafless. It’s a nice site, though, and I enjoyed it even if it wasn’t at it’s horticultural peak. 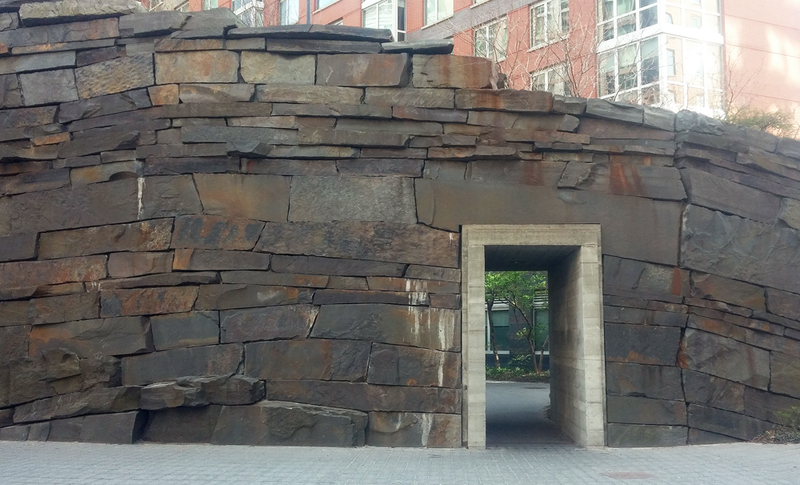 But my favorite spot along the river front was Teardrop Park, a small park with a stone wall about eighteen feet high. Technically the wall is veneer, but it’s built with oversized blocks that make it much cooler than any typical veneer. To my surprise, the posted park rules didn’t say anything about prohibiting climbing, so I went up it a few times. It would be too easy with climbing shoes, but in street shoes it was pretty fun. The park won an ASLA award a few years ago. 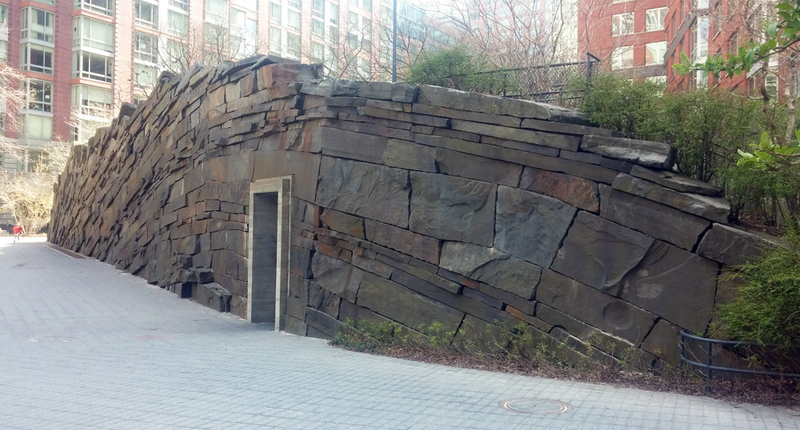 The project description called the stone ‘Alcove Blue Stone’; in the Bay Area, the stone’s trade name is Cabernet. 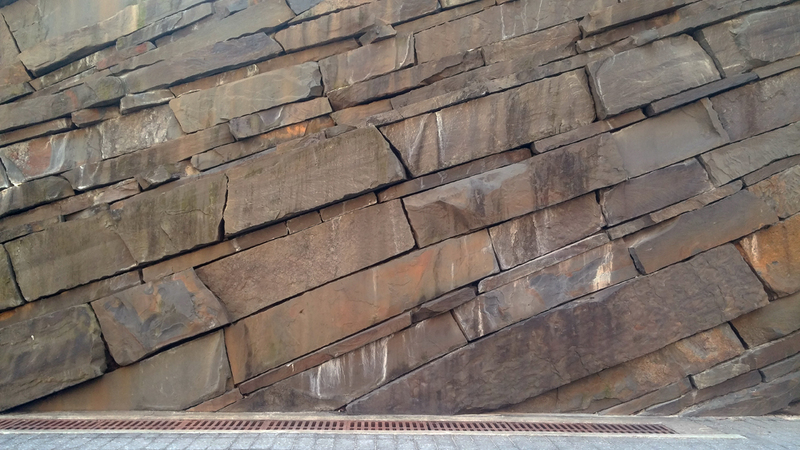 The diagonal courses of stone are meant to recall geological striations. 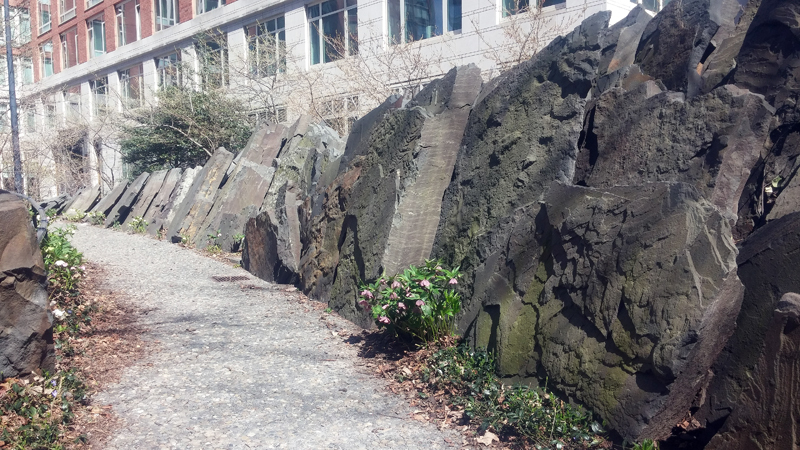 Other areas of the park use the striated stone as well. 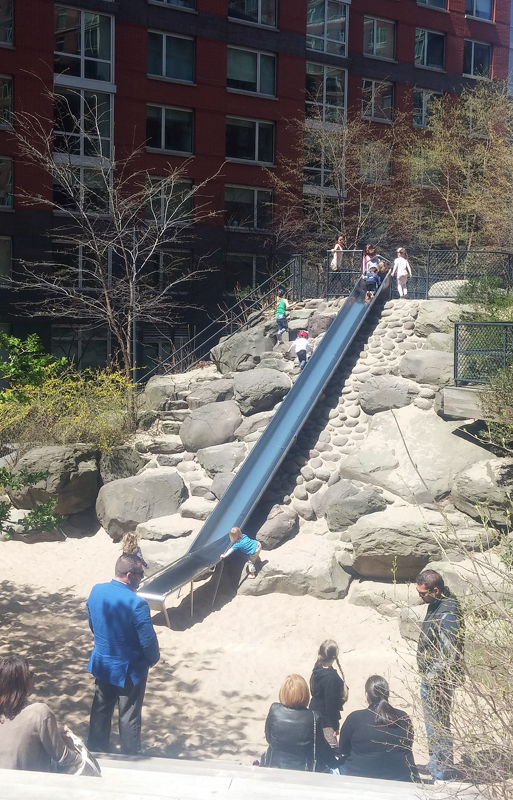 I would have loved this park as a kid, and I heard several different kids cry when they were told it was time to leave. A big slide with rocks to climb to reach the top, you can’t get much better than that. A great little park. 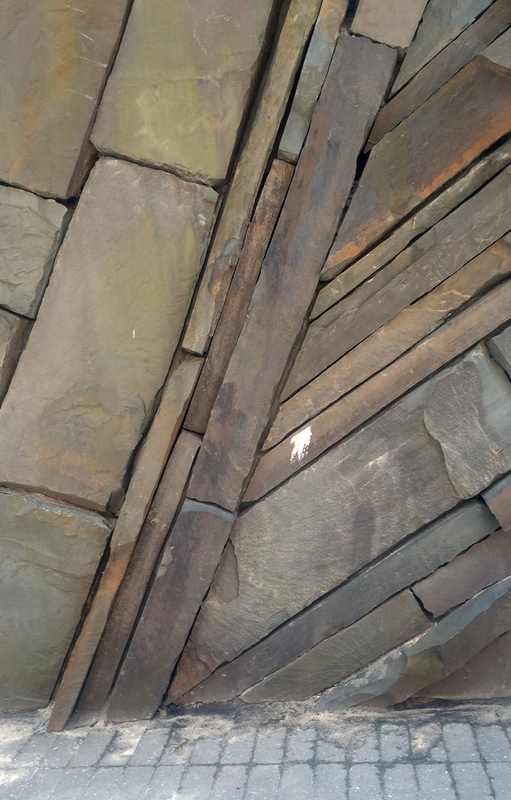 This entry was posted on Friday, June 19th, 2015 at 7:46 am and is filed under stone, walls. You can follow any responses to this entry through the RSS 2.0 feed. You can leave a response, or trackback from your own site. 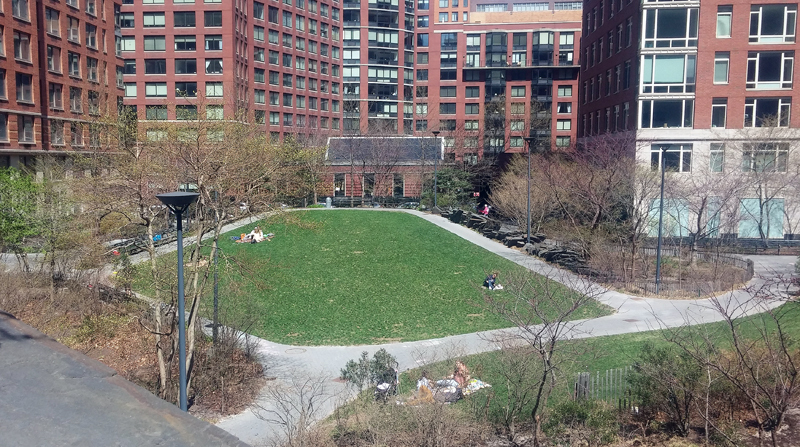 A park I’ve never visited, though I live in NYC and have heard about it for years. It’s a favorite of a landscape architect friend who lives and works in London. He praises it highly. I must visit it when I get back from England.